Bolangir: A close fight is expected among candidates of the BJD, the Congress and the BJP in the Bolangir Assembly constituency. Bolangir will go to polls in the second phase on April 18. And candidates have intensified their campaigning to woo voters. 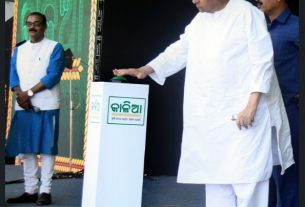 Outgoing MLA Narasingha Mishra of Congress, in the fray this time also, has stepped up his door-to-door campaign assuring voters to provide free houses to all landless people, paddy MSP of Rs 2,650 per quintal, increase old age and widow pensions and complete the Lower Suktel and other projects at the earliest. Meanwhile, the Congress has suffered a setback here as nine party leaders, including Laxman Meher, resigned recently. Political observers feel Meher has sizeable votes in Deogaon block and could bring troubles for Mishra. But Mishra said Meher’s exit would not affect his winning prospects as many other leaders have come to his support. BJD candidate Arkesh Narayan Singh Deo has been in the public service for the last five years. He played a vital role in fetching the university status to the Rajendra College, establishment of Rs 10-crore auditorium and a new bus terminus at Bolangir. “The Naveen Patnaik Government has taken a number of steps for upliftment of poor people; and I will strive for development of Bolangir further,” said young Singh Deo. The recent joining of BJP leader Basu Pati, who has sizeable voters in the Sibtala area of Balangir block, in the BJD is an added factor to the winning prospects of Singh Deo. Meher and his supports recently decided to vote for BJD. 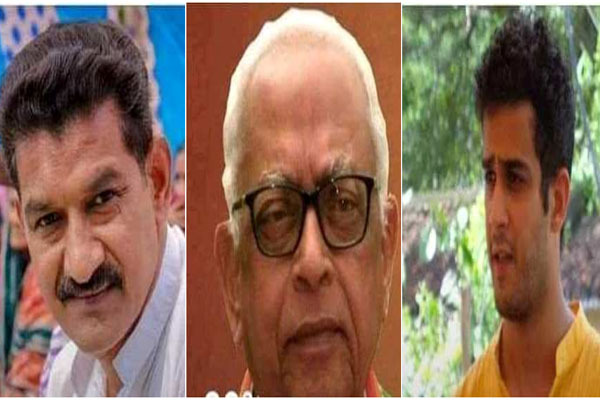 Arkesh, his father AU Singh Deo and his wife Adrija Manjari are moving in different wards of town and villages seeking votes for him and for BJD MP candidate and Arkesh’s elder brother Kalikesh Singh Deo. BJP candidate Anata Das has also expedited his campaigning with high hopes of winning the seat. “The politics in Balangir has to be free from the two families (Mishra and Singh Deo), who are more concerned to protect their own interests. I have come from a humble family and I am more competent than others to ensure development in Balangir by completing the incomplete projects like Lower Suktel and reopening of the sugar mill at Deogaon,” said Das while campaigning with his actress-wife Bidusmita.